This question is asked by many young gamers on various Facebook gaming groups and other social media platforms. Whether they can choose gaming as a profession to earn a living? I have seen the Indian gaming domain for last 15 years and gathered some insights that I am sharing in this article. For starters, the scene for Gamers is entirely different in India in comparison to the US, Japan, Korea or China. The professional gaming is far evolved in these countries, and gamers get to play in professionally organized gaming tournaments. Gaming As a Career in India You Can Earn! The tournaments are taken seriously by the sponsors like Red bull, Asus, Nvidia, Gigabyte to name a few, and the prize money is few lakh dollars to few million dollars for the competing and winning teams. The Professional Gaming or E-Sports is even covered by some of the channels like ESPN 3 and most popularly on online channels like Twitch TV. Most of us desire to have to game as a profession, what is better than playing games and getting paid insanely high for it. The Live streaming of games online has opened up new income streams for Gamers and changed how Gamers can earn high amount of money. Take for example Jeffery Shih, better known as “TrumpSC,” is a popular streamer for Hearthstone(Heros of Warcraft), which has over 20,000 consistent viewers in a single night all over the world and other streamer like him earn more than $100,000 in a year. A professional MBA degree for IIM may not fetch income close to that. Apart from earning from playing professional tournaments and winning the bounty players can also record the professional gameplay videos and stream it on Twitch TV. Another example is a really famous Streamer Kenji, better known as “NumotTheNummy,” who plays Magic the Gathering (a trading card game created by Richard Garfield), he started streaming his gameplay in 2012 with very few viewers and then everyday streamed the gameplay, slowly gathering a large audience. Now he has more than 1000 daily viewers for his stream which mostly happens late at night. It is not a healthy lifestyle though those are the peak hours for streaming. Games like HearthStone, League of legends, Destiny, DOTA, and CSGO are most watched on the twitch TV and Gamers can earn huge from mastering these games. Guest Appearance at tournaments & sponsorship. Other than streaming live game action, they earn a lot from making some of the most watched videos on Youtube, later in the article have explained How to Start a YouTube Channel. Sponsorship from hardware companies not only get them some of the best hardware for free and at times they review the hardware as well and get paid. Appearing as a guest in a major tournament organized by large corporations is another way the Gamers earn a tremendous amount of money. 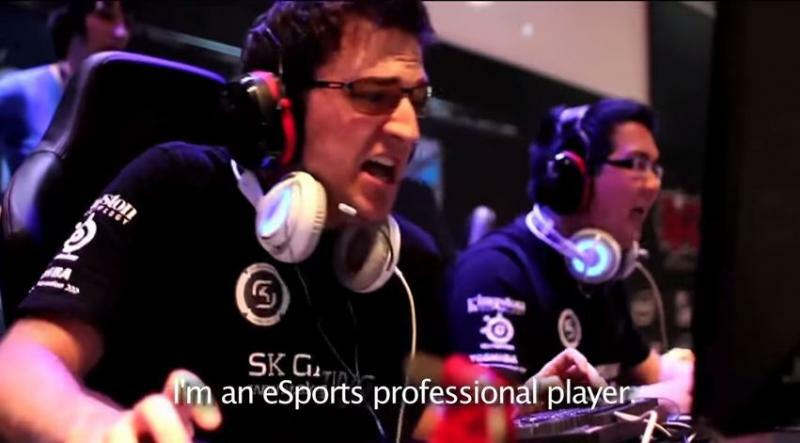 What does it take to be a professional gamer? The Job for professional gamers is not easy; it takes hours and hours of daily practice to become an expert gamer to be good at international level it takes more than beating some of the online opponents. The Gaming Skills of some of the guys in the professional tournaments is insane, unimaginable reflexes and result of hours, days and months of practice. Now being in India a typical middle-class mentality of parents to make every Kid engineer, Doctor is one major hindrance if you wish to pursue an off-beat career. I will not say parents are wrong they are quite right when they resist from such ventures, as the number of opportunities in the western countries is more and easy to make a living compared to India. So you will face a huge amount of family and society pressure if you declare that you are going to be a professional gamer instead of following a career in Engineering. Being professional gamer is going to be hard, you may have to practice a lot and get good with the most popular games. Second issues is the ping of online servers from the US to India or other countries which are at times really poor makes it difficult. I can say it is not an easy path, but it is also not impossible. Talent and Hard work define what you can achieve. Large-scale PC game developing companies like Rockstar and Ubisoft or electronic Arts are present in India but they hire selective talent. They tap and hire coders from well-known engineering colleges like IIT. Good news is Android/IOS games development and coding are in a boom phase, and it is relatively easy to get into the industry and become an app or game developer. Here is a list of some of the companies which are doing Game development in India. The pay packages are good, and if you have a keen interest in Mobile Games, you will be able to make a decent career in the games development industry in India. Here again, you will need a professional college degree like Computer or IT engineering to get a Job in the sector. I will not advise you to do it, but if you are keen, you can try to open a youtube channel and share your gameplay videos, hacks, cheats and skills to other gamers. You will be able to earn the advertisement income. More the number of views on your videos more will be the income from Youtube videos. You can also download latest games and review them and share the reviews on the youtube channel if you have a basic command over English you can record your reviews and share on the Youtube channel to earn more money from Youtube. If you are passionate about video games, PC games or mobile gaming, you can start your own website or blog and share articles and reviews about the current happenings in the gaming world. It is relatively easy to start a blog, Google’s Blogger platform is a great way to start a free blog. If you can spare some money, around Rs. 5000, you can start a professional blog on WordPress platform. Even Candytech.in runs on WordPress platform, you don’t require coding knowledge to create your website or blog on the WordPress. WordPress offers simple drag and drop functionality to create the website, and there are 1000’s of free themes you can use to create the website. Later on, when you start getting readers, you can apply for Adsense and monetize the blog. Moreover, with advertisers showing related ads on your site you will start getting payment from Google. Having said that, there are a lot of things you will need to do to create a popular website. I can sum up the whole requirements for making a successful site in two words Passion and Hard-work, rest everything will fall into place. It is strenuous to start a new blog in 2018 and make it successful, but it is possible. If the whole staring a blog and creating a youtube channel is something you don’t want to do. You can become a guest writer and earn money for writing articles. The key skills for a writer are to have good command over English and vocabulary and knowledge in the field you wish to write. If you have a flair for writing and have excellent writing skills, you can start guest posting on websites and earn money. There are many websites including Candytech which offers money to the Guest Authors who can write compelling content which is interesting for the readers. Furthermore, writing for 2-3 blogs on a monthly basis can help you earn some income and later you can gain experience and become a pro-blogger. Top Bloggers earn more than $10,000 per month like Amit Aggarwal or Harsh Aggarwal. But it is not easy, it is hard very hard. In conclusion, these are some of the ways that I can suggest you take into consideration if you wish to earn a steady income from Gaming as a Career in India. 30 Low Specs PC Games to Play on old Laptop or PC. Nvidia Game works Make Nvidia Cards Better than AMD. I have tried game development in my college days, I have to say it is lot of work . The designing ,coding and animation takes lots of work and patients . If you want to be a game developer my advice is have lot of patients. that is true patience is a virtue which can help anyone gain alot in life ….